Jo Wright is a natural expert on the topic of sustainability, and incorporates her work into her lifestyle choices. “My job is hectic and hard to leave at home because it’s tied to my values,” she said. Jo left her hometown in the United Kingdom for the job she loves in Calgary, and she remembers what it was like to move. “I realize that I’m very lucky [in terms of where I live] in Calgary because inland planning only constitutes about 2% of land use here. I walk to the supermarket, to get lunch and the paper and I have tons of facilities and parks around,” says Wright of her area. 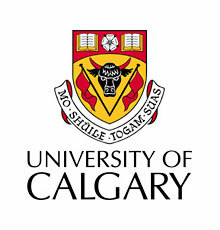 The University of Calgary has committed to reducing transportation CO2 emissions by 50% from 1990 levels by 2036 and to increase transit ridership by 40% of 2006 levels by 2036. The University has developed a series of innovative programs to address sustainable transportation, such as the Top of the Lot, a parking management program that provides significant discounts to carpools, who are also rewarded with the best stalls in the parking lot. There is also an on-site car share (CATCO), the U-Pass Public Transit Program, Commuter Challenge and a campus no- idling policy – students are welcome to idle, but not cars or delivery vehicles! 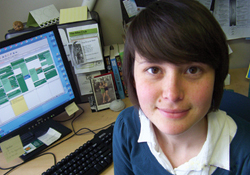 The student-led Campus Bike Initiative (cooperative) opened the Bicycle Root in September 2008. The initiative includes a bike workshop and a bike library allowing students to borrow bikes. Motivation: Mainly to reduce emissions and also for health benefits, enhance social interaction, social influence and avoid traffic issues.